This entry was posted in Health Insurance Plans on 10/19/2017 by Alejandra Vazquez. Life with a disability is often full of unexpected health emergencies, either as a direct side effect or as a complicating secondary condition. While long term health insurance is a priority for most people with life-long disabilities, it’s not the only kind of low cost insurance you can use to improve your financial security and your quality of life. 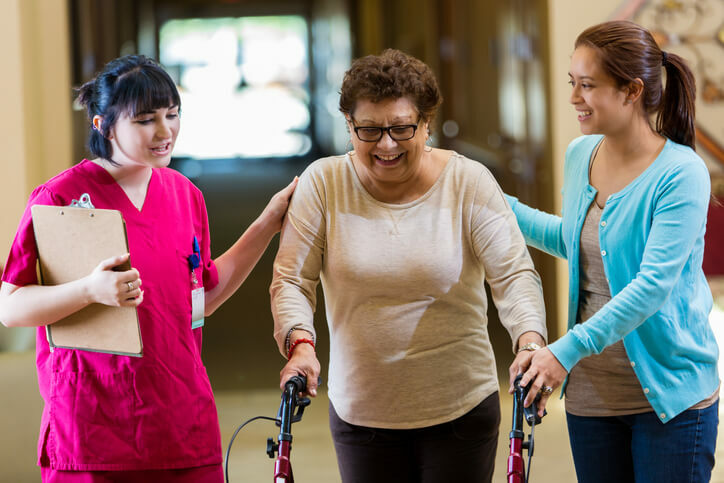 A hospital indemnity insurance policy reimburses you for the cost of a short or long-term stay in the hospital for surgery, recovery after an accident, and more. Even very minor disabilities can eventually lead to a hospital visit. Chronic illnesses may be primarily managed at the doctor’s office rather than the ER, but it only takes one serious allergy reaction, flare up, or secondary infection to send you to the hospital. With over 125 million visits to the ER each year in the US alone, there’s always a good chance you could end up there regardless of your health. A pre-existing condition makes health insurance plans, including hospital indemnity insurance, all the more important. A single emergency can wipe out your savings, even when you need only a few minor treatments to get back on track. The cost of quality healthcare is expected to rise as time goes by, so it makes sense to lock in a cost saving measure, like hospital indemnity insurance, now. Healthcare costs in general jumped up by an astonishing nearly 2 percent in August 2016 alone. Your health insurance policy is likely to cost more in the future as well, but hospital indemnity plans will always remain a relatively affordable option because they’re a specialized and optional form of secondary insurance. Changes to the healthcare laws in the U.S. finally made it easier for disabled people to access quality healthcare through affordable plans, even after being diagnosed with a pre-existing condition. However, these plans still include plenty of limitations. Specific procedures, entire specialties of medicine, and even emergency room treatment can be cut from the coverage by a simple exclusion written into the contract. Instead of spending hundreds of dollars a month just to find health insurance with better coverage and higher spending limits, try supplementing your coverage with hospital indemnity instead. Hospital indemnity insurance doesn’t just have to cover your medical expenses as a disabled person. If you’re already stretching your family insurance benefits a little thin among all of your family members, a group indemnity policy is a great way to prevent financial stress. Insuring your children and spouse means they’ll get the care they need with no impact on what you spend on your own care. Just like a life insurance policy, hospital indemnity plans protect your family even more than they protect you by stabilizing financial fluctuations when there’s an emergency. Whenever you’re ready to get the hospital indemnity insurance you deserve, reach out to us here at Freeway Insurance. We can help formulate an entire package of insurance products to address the specific challenges you face as a person with disabilities. Visit one of our conveniently-located offices or call us at (800) 777-5620.